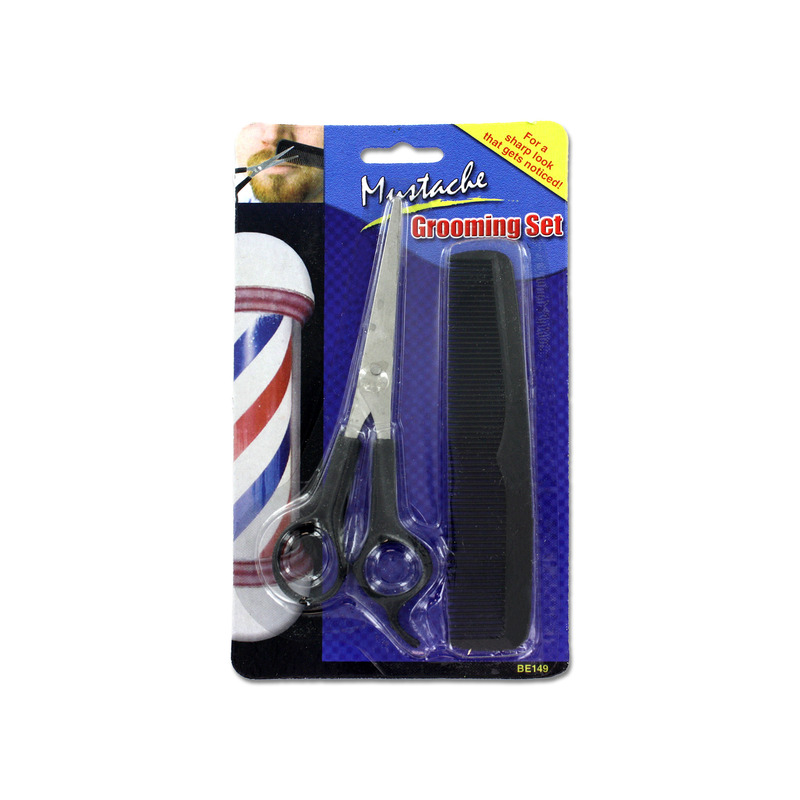 Keep mustaches and beards in perfect shape with this 2-piece Mustache & Beard Grooming Set featuring a black plastic comb and a pair of plastic handled stainless steel scissors. Approximate measurements: comb - 5" x 1", scissors - 5 3/4" x 2" wide. Comes packaged in a blister pack.